7CPC: 7th Central Pay Commission for Central Government Employees: Deplorable condition of Railway Quarters on Indian Railways etc- reg. Deplorable condition of Railway Quarters on Indian Railways etc- reg. 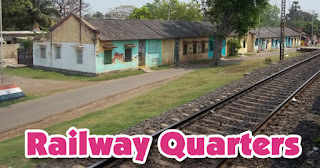 Sub: Deplorable condition of Railway Quarters on Indian Railways etc- reg. During NFIR's PNM meeting held with the Railway Board on 13/l4-11-2017, Federation raised the issue of the condition of Railway Quarters outside agenda and stated that the condition of quarters continue to remain deplorable. Federation further said that the deteriorated condition of Railway quarters and the Railway colonies is on account of non-allotment of adequate funds and non-availability of artisan and other support staff under the JEs/SSEs (Works). Federation also stated that the deterioration of conditions has been causing severe hardships to the staff and their families living in the quarters. (i) For upkeep and maintenance of Railway colonies, setting up of IT based call centres at location of maintenance redressal. (ii) Setting up of a separate wing for maintenance of infrastructure not related directly with operations. Delhi Division is to undertake this project on pilot basis. (iii) Fixing of periodicity and scale/schedule of Renovation and maintenance in line with CPWD (CPWD Portal) and practices. (iv) Specification of Fixtures and Replacement items also need to be in line with CPWD Practice. a. PU32A for Type I & II. c. PU32C for Type V and above houses. Instructions in this regard have been issued to all Zonal Railways. Further, as per the full Board's decision taken in the meeting held on 05/10/2017 on maintenance of service buildings and colonies, all Zonal Railways have been asked to adopt user compliance for satisfactory completion of works in service buildings and colonies and to outsource maintenance work for selected colonies. It may be seen from the above that substantial efforts are being made by Railways to improve the maintenance of Railway colonies and in the years to come the outcome of these steps will be visible". Above position is conveyed to the affiliates for offering views to the Federation soon,taking into account ground reality and holding discussions with the concerned staff and authorities.